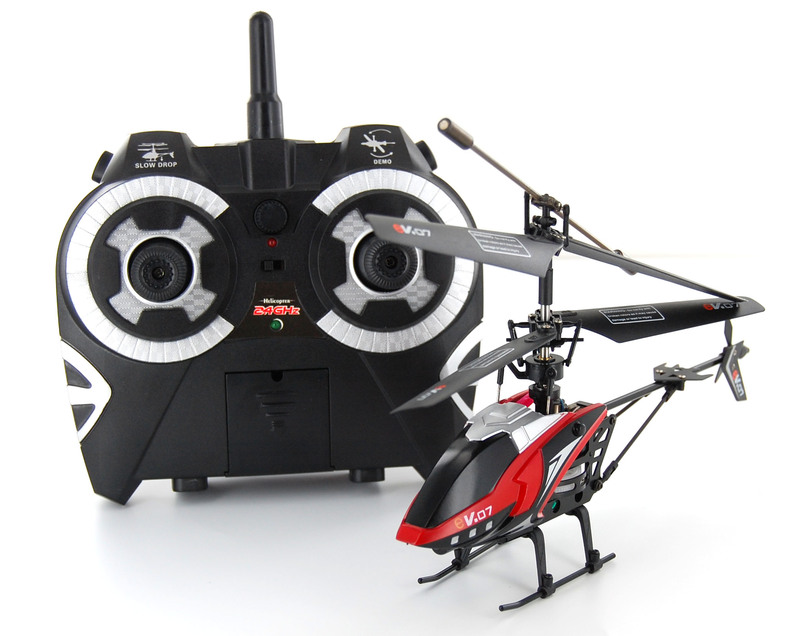 The EV07 is the 1st 4 channel 2.4GHz counter rotating helicopter in the range. Like the other EVO helicopters, the EV07 has modern looks and is built around a Metal chassis with a built in gyro to ensure a stable flight platform. The EV07 comes factory set up so all you need to do is add 4 x AA Batteries to the 2.4GHz handset, charge the helicopter and go. Charging can be done via the handset or via the included USB Charger.